This monograph was created as the scientific outcome of the “3rd Central European Civil Engineering Meeting 2018” (CECEM 2018) which took place at Koszalin University of Technology (Faculty of Civil Engineering, Environmental and Geodetic Sciences) in Poland, 4 – 8 June 2018. Researchers representing five countries (Czech Republic, Slovakia, Spain, Vietnam and Poland) were attending the meeting. The meeting was organized as an ERASMUS+ event. CECEM 2018 had both staff training (STT) and teaching (STA) character and was a great opportunity to share knowledge and experience in the field of civil and structural engineering. The week-long programme included round table discussions, presentations, problem solving cases, lab visits, workshops and social events. The main objectives of CECEM 2018 included peer-learning, networking, transfer of knowledge and sharing research experiences and best practices. Participants brought into the discussion examples from their own institutions and present best practices and innovative approaches to the issues addressed. The meeting was following the “1st Central European Civil Engineering Meeting 2016” (CECEM 2016) and the “2nd Central European Civil Engineering Meeting 2017” (CECEM 2017). Both meetings took place at Koszalin University of Technology (Faculty of Civil Engineering, Environmental and Geodetic Sciences) in Poland. The 1st CECEM 2016 (21 -23 June 2016) attracted researchers from Czech Republic and Ukraine. The 2nd CECEM 2017 (5 – 9 June 2017) attracted researchers from Czech Republic, Slovakia, Romania and Poland. The success of CECEM 2016 and CECEM 2017 encouraged organizers to organize the 3rd CECEM 2018. During CECEM 2018 multiple scientific presentations were delivered and discussed. Organizers decided to prepare a monograph as the outcome of the meeting to prevent these high quality presentations from perishing. Willing authors prepared extended versions of their papers for publication. After very careful analyses and peer-review process 14 chapters were accepted for the final version of the monograph. The inclusion of a chapter in the monograph was free of charge for the authors. The peer-reviewing, editing and printing costs were covered by Faculty of Civil Engineering, Environmental and Geodetic Sciences at Koszalin University of Technology. To embrace the scientific cooperation between attendees of all CECEM meetings an international scientific society “Research and Modelling in Civil Engineering” was established. The 4th CECEM 2019 will take place in Koszalin (Poland), 3 – 7 June 2019. Colleagues from partner and non-partner institutions are encouraged to take part in the event. Contact person: prof. Jacek Katzer (cecem@cecem.eu). All details concerning the 4th CECEM 2019, previous meetings and an international scientific society “Research and Modelling in Civil Engineering” are available at the meeting website: www.cecem.eu. Free electronic versions of the current monograph and the monograph published after CECEM 2017 are also available there. Katzer J., Cichocki K., Domski J. (eds.) 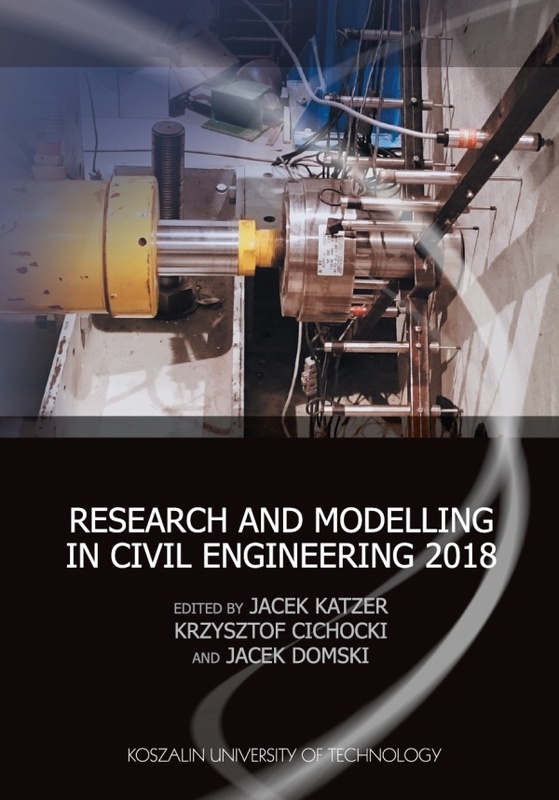 (2018) Research and Modelling in Civil Engineering 2018.